In the world of mobile development, many developers understand the dos and don’ts of the trade. Some of those don’ts we like to call “wastes.” When we refer to wastes, we mean anything that can “result in longer development cycles, affect the quality of products, can lead to scope creep, and increase project risk,” according to Clear Bridge Mobile. For real estate professionals looking for app designers that specialize in mobile apps for real estate agents and brokers, it’s important that you understand some of the “wastes” that could hinder your projects and cause issues in the long run. “Defects are product issues or mistakes that produce incorrect or unexpected output. They are harmful to project velocity because they take extra time, resources, and money to fix,” per Clear Bridge Mobile. Your mobile app developer should have a process in place for taking care of bug fixes and/or discussing any potential issues that could arise with your mobile app. It’s not uncommon for app developers to go a bit overboard; especially if you haven’t discussed beforehand specifically what you’re looking for. According to Clear Bridge Mobile, “Overproduction is when you produce more than is necessary to achieve the desired outcome, or produce before there is a need. 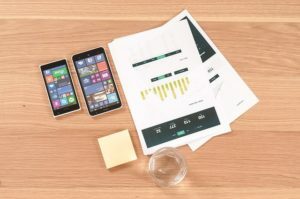 In app development, this typically manifests as extra features or functionalities.” Again, discuss your wants and needs with your mobile app developer beforehand to avoid this type of process delay. Waiting can include any of the “wastes” we discussed above. Typically, this includes any factor that causes delays in mobile app development and/or delivery. Waiting in this sense could be waiting for future information from your developer, delays from external parties or vendors the developer may be utilizing, or any internal resource gaps by way of the developer. We’re not talking about traveling. Transportation in this sense means passing on tasks to another member of the development team. Clear Bridge Mobile describes this waste as relearning; “one member of the team hands off code/tasks/etc. to another team member who then needs to re-learn what the first team member already knows.” Exchanging tasks can very much slow down your ability to release your app on time. Make sure to discuss with your mobile app developer if he/she has a team or if he/she works alone. This can help you gauge deadlines. This entry was posted in mobile app designer, mobile app development company, Mobile apps for real estate agents and brokers, SnApp Development. Bookmark the permalink.